Again *** 15 NEW levels *** added in the latest update! This is the official 'sugar, sugar' game by Bart Bonte. 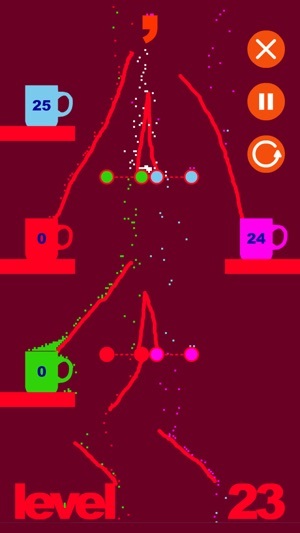 Realistic physics results in thousands of sugar particles trickling down the screen. 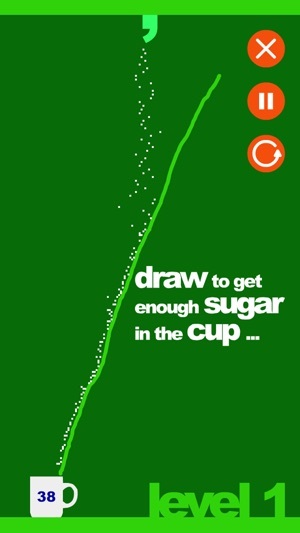 Draw to direct enough sugar in all the cups in each of the 100 levels. In almost every update new levels are added! Thank you for adding more levels! 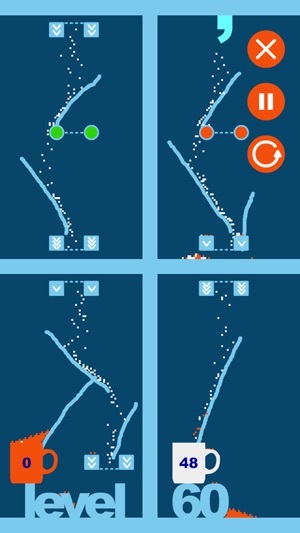 Sugar, Sugar is one of my all-time favorites, and I’ve been hoping for new levels for a long time. I am having a problem since this update that I didn’t have before, which I hope might be fixed in a future update. Now when I try to draw a line down from the top of the screen on my iPhone 8, my touch activates the notifications to pull down instead of making a line. When I try to draw up from the bottom of the screen, it makes the control center pop up. I can still play, but it makes it hard to draw the lines exactly where I want them, which sometimes results in failure and having to start that level over. But thanks again for adding more levels - and I hope you’ll continue to add more. The behavior you describe was introduced by Apple with iOS11: when you start your movement from below the screen it will bring up the control center in any app... so I don't think there is much I can do about that when you start drawing from outside the playfield. I truly enjoy playing this game for myself, but the planning and problem solving aspects also make it a good tool for my clients with disabilities. 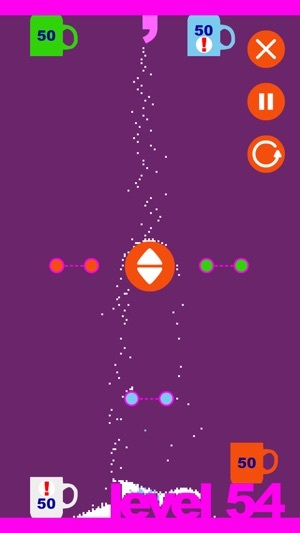 My only suggestion would be to add a control that allows you to move forwards (or backwards) through the levels without having to back to the main screen. Maybe just through the levels a person has unlocked. That would be great for picking new levels to work on with a client. My (current) favorite game. Solid, challenging gameplay. Good 3-5 minute levels if you’ve got a few minutes. Only issue is I have to keep deleting and reinstalling the game to replay it since every time I exit, it restarts me on level 100. It would be great if you restarted the game and it would keep track of the new level you’re on (or have a reset button).